“Rabbits do not make good pets!” my father said emphatically. “Daddy, please! They are so cute and cuddly–they won’t be any trouble,” I pleaded. “They are nothing but trouble; you will see and be sorry,” he said as he relented. Oh, how I wish I had listened! I wish I had paid attention to his advice before we got the rabbits. Today, I am reminded of how rules and regulations are like rabbits. Like rabbits, rules do not make good pets. 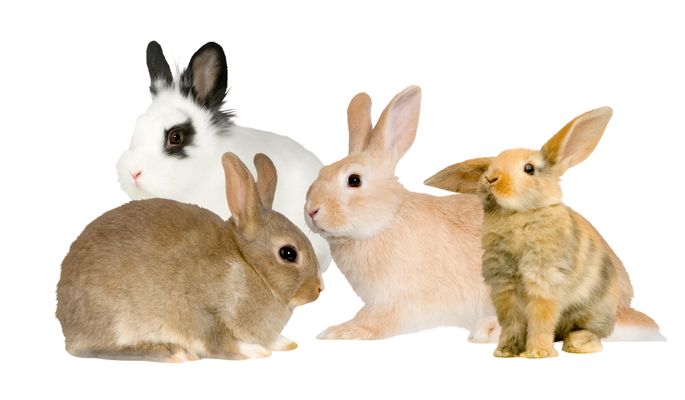 First, rabbits may look cute and have soft fur, but they are a lot of trouble. Rules look like a good idea until you get them. Like rabbits, rules appear attractive, but they are difficult to manage, interpret, and enforce in the real world. Rules are like rabbits . . .
Second, my father warned me and my siblings, but we did not listen; he said, “You can train a dog, and even a cat to some degree, but it is impossible to train a rabbit to do anything.” He was right. Rabbits are virtually untrainable and leave a mess wherever they go. Rules are like that too. In the beginning, they seem like useful controls, but they always come with unexpected consequences. You think rules will work to your advantage and help the organization, but they end up creating new problems and fail to solve the old ones. Third, growing up in the country, my father hunted wild rabbits for food. He said, “Rabbits are good to eat, but that’s about all they are good for.” I don’t know if they are good to eat or not; I could never bring myself to accept the idea of eating rabbit meat. I could not stomach the idea. The same can be said about rules; you may have positive expectations for rules, but when you get a taste of all the problems they generate, you may find them too hard to swallow. Finally, the most obvious thing about rabbits is how fast they multiply. We had only two starting out, but those two rabbits turned into a dozen quickly. Not only did we end up with more rabbits than we wanted, when we tried to get rid of a few, we found out that no one wanted any. We could not get rid of them. Rules are like rabbits: you may begin with only one or two, thinking that will be all you are going to need, but that is not the way it works. Right away you will need several new rules to clarify the first few, then a couple more to smooth out those bumps in the process. They tend to multiply quickly. Nobody wants more rules and regulations. Not only do rules and regulations multiply, their caretakers also multiply. The more rules an organization has, the more people required to enforce them. Like rabbits, it is nearly impossible to get rid of rules once you give them a home. We don’t need more rules; we need plain and simple principles to guide us. Enhance your career, advocate principles, and eliminate rules.